If you are fussy about your coffee and are sick of being served up horrid beverages that don't even deserve to be called coffee, then you should absolutely pay Café CK a visit. 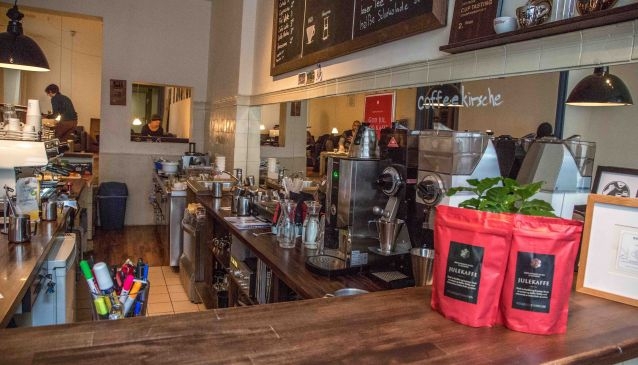 Located on Marienburgerstraße in Prenzlauer Berg, Café CK's baristas are first class and pull great espresso shots, steam their milk to perfection and also make filter and french press coffee that will change your life. We're not even joking. The staff, along with being superstars with a coffee machine, are also friendly and efficient and are more than happy to talk coffee with you if you want to something more than your morning Latte. Café CK aren't the cheapest café in Berlin, but if you care about the quality of your coffee we think their prices make total sense. They also do an assortment of yummy cakes and slices as well as a great breakfast. Free wifi is on offer which is a nice touch. There are no tables, just comfy sofas and coffee tables, which, delightfully, means that the cafe isn't filled with freelancers working away on their laptops.